Greece, the country of Homer, has the most magnificent seas..and not unfair. 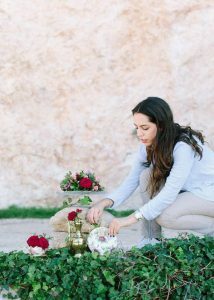 The homeland of Odysseas, Kefalonia and Ithaca, with the most emerald crystal waters give a variety of ideal boho-wedding locations! 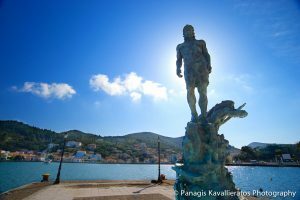 These perfect locations along the island become more precious when the bright sunlight comes up! 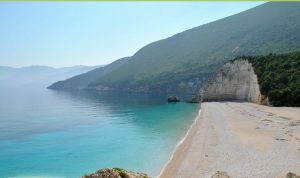 Kefalonia as well as Ithaca has so many beautiful beaches where can totally be your perfect wedding location. 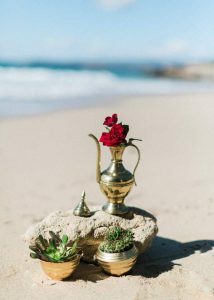 Myrtos, Fteri, Koutsoupia, Trapezaki, Lourdas, Skala, Antisamos, are some of the beaches which i highly recommend for bohemian weddings. 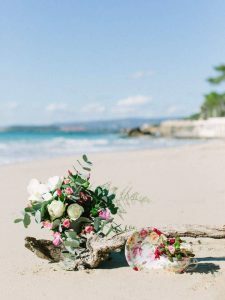 In case you have dreamed a boho-wedding on a beach, i will help you with some ideas! 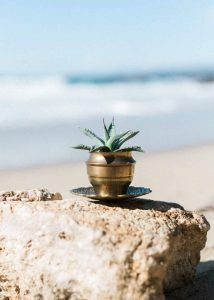 I will present you some boho-decors that i created in one of the well-known beach of Kefalonia. 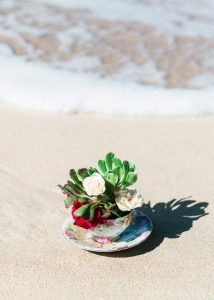 We used natural wild flowers and cactus, porcelain floral cups along with bronze touches. I tried to take the advantage of the the natural greenery. 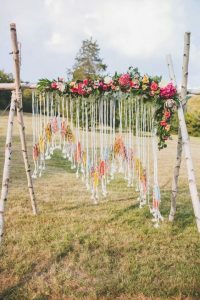 The key for a boho-wedding, is the combination of simplicity and creativity. 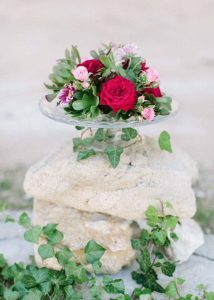 Try to use natural materials such as wood, wild and colorful flowers and give a style on your wedding. A massive flower halo is definitely a “must” choice! 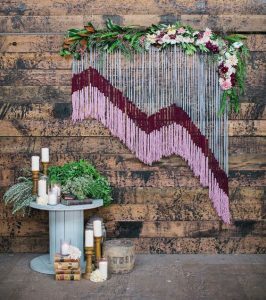 One of the last trends for boho-weddings in 2017 is macrame knotting. 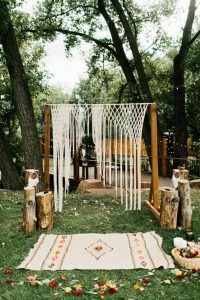 You can have a macrame hanged with flowers in order to replace the usual archs or you can have it as a decor on the venue. Moreover, you can also dressed the chairs of the reception! For a natural sense of your bohemian wedding wear macrame barefoot sandals. 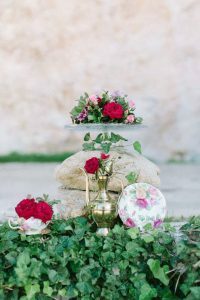 Another thing which i love personally in boho-wedding is persian and country carpets! Having some of these carpets with some pillows added then you have already your boho-style! Hope you enjoyed my ideas and got inspired!